Summer isn’t all about holidays and barbecues. Most of us have to work during the summer months and we need to be smart, yet cool and comfortable, which can be a difficult balance to achieve. 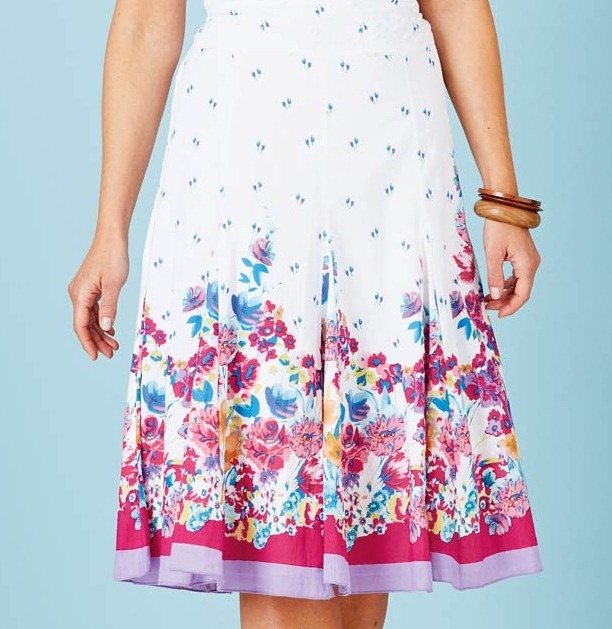 Fortunately, however, clothes retailers are on our side, with some great dresses, skirts, tops and jackets that are designed to look fabulous without stifling those summer impulses. Let’s start with shirts and blouses. There are some great summer styles for the office or just to help you smarten up when you need to. Look for bold colours, which lift a dark suit right into summer and help you to stand out from the traditional white shirt crowd. This season’s colours are bright and acid, so make sure you can carry them off – or use them to accessorise instead of as a statement in a shirt. Longer blouses or tunics are also great, because they keep you cool, but still look smart if you team them with the right skirt or womens trousers from Cotton Traders, heels and a great bag. And what about dresses? Depending on the dress code and culture of your workplace, there’s a lot you can do with the summer dresses on the market this season. Maxi dresses are still very much on-trend – look for more traditional styles rather than beach prints, but buy stretch fabric that will give you added comfort and a flattering shape, and accessorise with a great belt and smart flat pumps. Alternatively, go for something shorter and definitely summery – a pretty print dress can be matched with a smart blazer, bag and heels so that you look fabulous in the office without compromising your summer credentials. Skirts can help you to keep things simple. Hang up your black skirts and go for coloured skirts that bring a bit of life back into the office without losing the smart style you need. There are lots of pencil skirts around this season that are perfect for this kind of wear. You can also choose to lighten everything up and go for pure white linen skirts which can be worn with a tailored shirt and jacket to keep the more formal style but without the heaviness of winter wear. It’s easier to find summer styles for work than you might think. You may even only need to buy one or two key pieces to transform your look over the warmer months to come. As well as blouses, dresses and skirts, take a look at summer jackets from Cotton Traders, shoes and bags so that you can be co-ordinated, make an impression and still get your job done in comfort and style.